We're going to talk today about a topic you don't hear discussed often in Stud 8 or Better games. 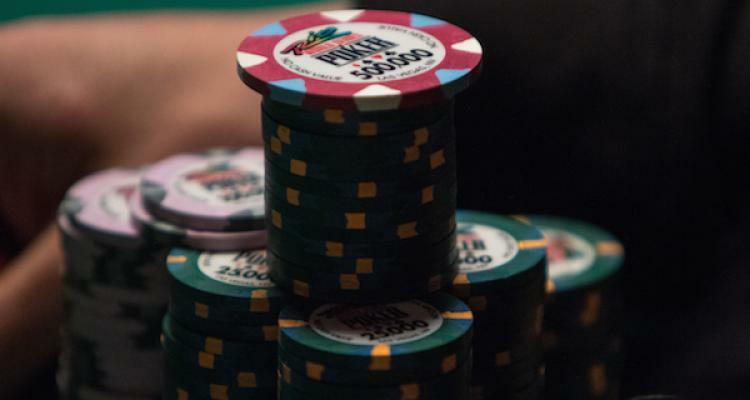 Standard third street strategy suggests that you stay away from high pairs outside of aces. While this is a solid strategy for beginning players, those with a bit more experience can consider expanding their range a bit to include pairs from nines to kings. Here are a few tips for playing big pairs in Stud 8 or Better. Remember that when you play pairs from nines to kings, you are almost always going to be high only, so pay close attention to opponents that are developing dangerous looking low boards. Next, most of the time you will want to improve by fifth street in order to call big bets from fifth to the river. This is similar to the type of big pair strategy that you would employ in standard Stud Hi games. I don't always play big pairs but I will speculate with a hand when my big pair is buried. The reason is that you have massive deception value when you catch trips. If your initial door card is also high, this will help you as players will figure you either have two pair or are betting a draw. When playing high pairs, pay attention when other high cards decide to come into the pot as well, especially if that card is higher than yours. Most often this player has either limped in with a pair that matches that door card or they may have a bigger pair in hole. When playing a big pair you want to take advantage when a low card catches bad on fourth. If you have a player that came in with a six and they catch a jack, go ahead and bet your pair of queens. They still have to catch two out of three of their remaining cards in order to catch their low. Many of your solid Stud 8 players will fold on fourth when they don't improve and are facing action, so stay aggressive. If on fifth or afterwards you're against more than one player that looks to have a made low (or better), it is time to dump your hand unless you have improved dramatically. Even consider folding two pair unless you're fairly certain they are going low only. Be aware that an aggressive player with a lock on low will often bet their hand until showdown. This is smart poker as they cannot lose and can still chase the high only hands out. If it appears that your opponent is just freerolling rather than scooping, don't be afraid to call one bet at the end. However, if you are facing multiple bets (as in a three-way pot) then you will want to get out of the way unless you have a strong high hand.